Newsletters — Educate, Empower, Engage! We distribute this newsletter on a quarterly basis. Stay tuned for updates on FCE related news and events. If you have any suggestions for content or Facebook updates, please email us at info@fullcircleearth.org. 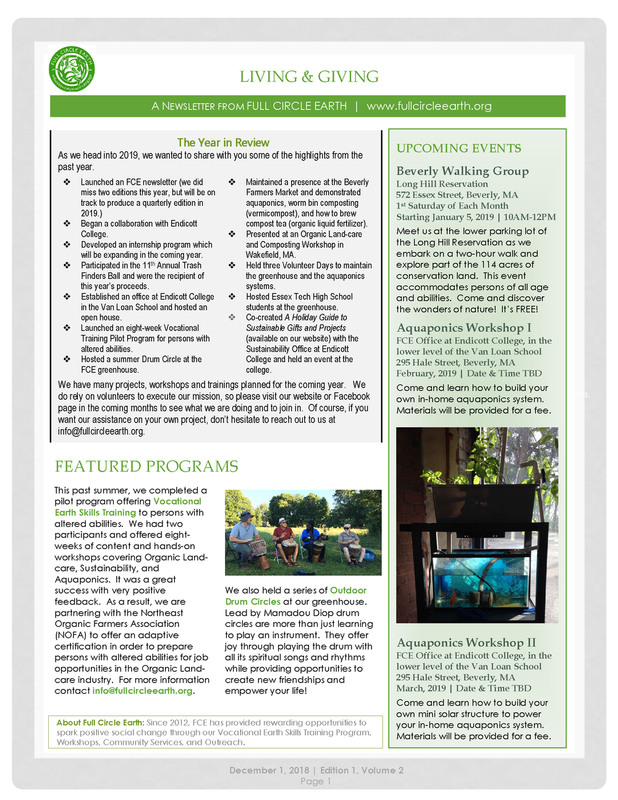 Click to download a printable version of the December, 2018 Full Circle Earth Newsletter. Click to download a printable version of the March, 2018 Full Circle Earth Newsletter.